Lemon GreenTea: Electrolux; Your Guide to a Healthy Holiday! Electrolux; Your Guide to a Healthy Holiday! The holidays are just around the corner and with festivities like Christmas and New Year celebrations come food— lots of it. Lechon, pasta, fried chicken, fruit salad, and cakes are only some of the usual dishes in most Filipino family’s holiday meal plan. We all know how hard it is to resist these delicious yet calorie-packed treats. So here are some tips to help you enjoy the holiday season while keeping the extra pounds away. Breakfast is the most important meal of the day, so remember to jump-start your day with a hearty meal, especially on days you will be eating more. Depriving yourself of this vital meal can lead to overindulgence on calorie-laden treats that you will surely regret later on. Skipping breakfast can also lead to snacking throughout the day, which means eating more than you would otherwise. Welcome the day with a slice or two of whole grain or multigrain bread. These have low glycemic indices (GI), which mean they are digested more slowly over a longer period of time than white bread. Add a bit of crunch to your bread by toasting it in the Electrolux pop-up toaster. Pair this up with a cup of freshly brewed coffee using the Electrolux coffee maker or maybe a hot cup of tea or milk when you quickly heat up water with the Electrolux electric kettle. Whip up a simple but hearty breakfast conveniently with the Electrolux Easy Sense breakfast set. Bring a salad or a vegetable side dish when invited to a Christmas party potluck to make sure that there is a healthy option on the table. Instead of bringing fruit salad in milk and cream, indulge on mixed fruits in honey to satisfy your sweet tooth with less guilt. Keep all your vegetables and fruits fresh and crisp with the Electrolux NutriFresh™ 3-door refrigerator. Its middle compartment can be used as a crisper, chiller, or freezer depending on your party needs. With a little imagination and the right kitchen equipment, it’s not hard to cook healthier versions of your favorite holiday dishes. For instance, use vinaigrette instead of mayonnaise-based dressings for your salads. You can also add fruits and nuts to add flavour and texture to your salad. For cake frostings, you can use a fruit puree instead of the usual sugar or cream cheese frosting. 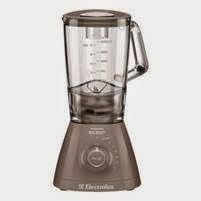 All you need is a powerful blender like the Electrolux Powermix Silent Blender to ensure the right texture and consistency of your puree. Holiday recipes like fried chicken and lechon kawali call for a liberal amount of cooking oil. Instead of deep-frying, try roasting with the Electrolux cooking range with electric oven and grill; this way you get to enjoy the same meaty goodness with significantly less oil. For your cookies, try using whole wheat or gluten-free flour for the batter. You can also sweeten it up with honey instead of refined sugar. Instead of buying from your trusty bake shop, you can create these treats for the whole family in one go using the Electrolux Inspiro built-in oven. This oven offers the same kind of flexibility that busy chefs require. 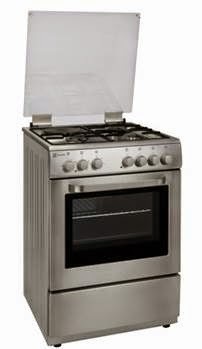 It has a 74-liter capacity, offers up to 8 cooking programs, and allows multi-level cooking that lets you evenly bake a big batch of treats for your loved ones.